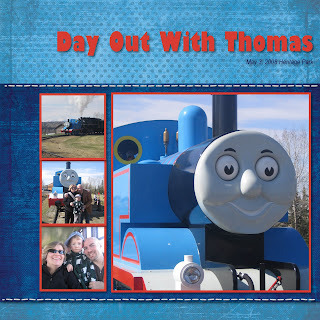 What a great day we had seeing Thomas the Tank Engine! 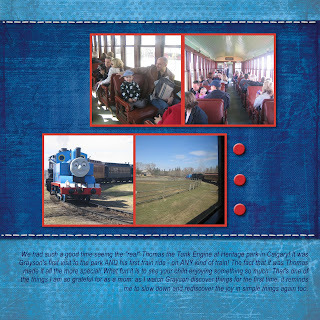 Heritage Park is a historical village themed park in Calgary which has an old CPR steam train as one of it's attractions, and Thomas was able to come and actually pull the steam train and give rides! There was lots of other things going on too...Thomas themed games, crafts & entertainment, storytelling, a HUGE gift store, and pictures with both Thomas and Sir Topham Hatt! (OK, if you don't know who I am talking about, you probably don't have pre-school boys in your house!) Of course we had to do the traditional excursion to the bakery in the Park where they make old fashioned breads and pastries - their cinnamon buns, sour-dough bread and gingerbread men cookies were not to be missed! We joined our good friends Wendy and PJ along with their two kids Amy and Sean for the adventure and a good time was had by all! I could really feel that I was 34 weeks pregnant though...2 hours in the Park running after an excited three-year old was enough to put me down for a two and a half hour nap afterwards! 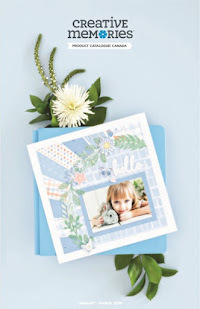 "Day out with Thomas", 12 x 12 digital double page layout by Noreen Smith. Storybook Creator Plus software; Primary Digital kit by Creative Memories; Arial Narrow and Gill Sans Ultra Bold Condensed fonts. 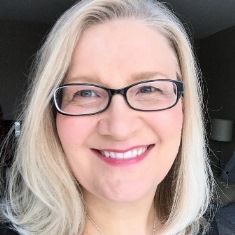 And, I am still working hard on my new website, but it will still be a few weeks before it is up and running - I want to get it right before I go live, but I'll make sure to post the link here as soon as it is up!